Picture perfect starter home with a large lot! 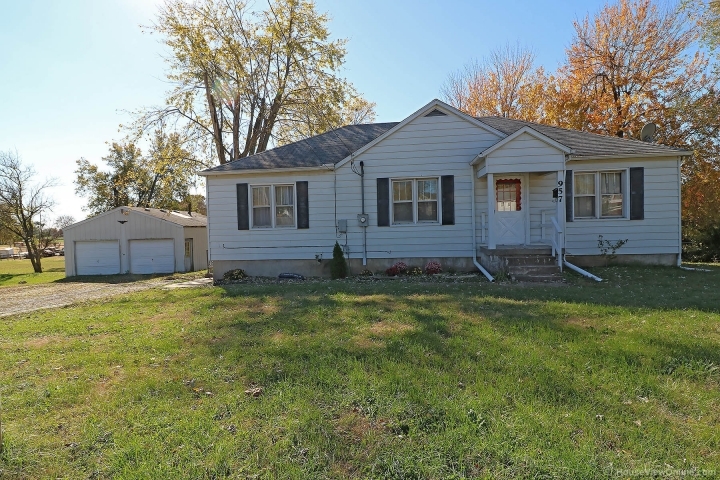 This 2 bedroom, 1 bath home with a unfinished walk-up basement with plenty of room for your family to grow. HUGE detached two car garage/ workshop with electric and concrete floors. Large 0.65 acre lot that's partially fenced with no neighbors behind you. New flooring in the kitchen and bath and original hardwood floors. Could easily wall off a legal third bedroom upstairs and easily plumb a second bath downstairs. Large living area and large kitchen. New water heater, new wood laminate, new light fixtures.